The United Nations Conference on Trade & Development tracks the progress of the world’s poorest nations with a goal to showing how fair trade can help a country out of poverty. 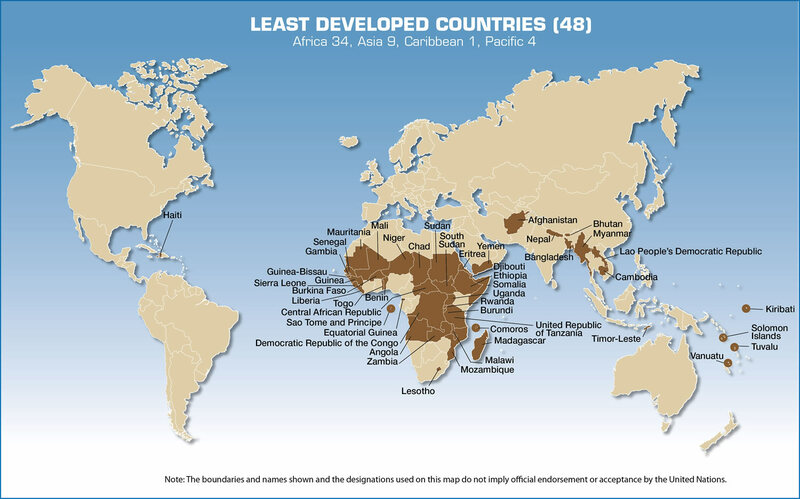 But as UNCTAD explains, the world’s 48 Least Developed Countries (LDCs) face unique challenges. In Asia there are 8; Afghanistan, Bangladesh, Bhutan, Cambodia, Lao PDR, Maldives, Myanmar, Nepal,Timor-Leste and Yemen. For ASEAN this is a challenge as 3 LDCs are member states. In the year ahead it should be every citizen of ASEAN’s goal to help Cambodia, Lao PDR and Myanmar continue their long climb up.